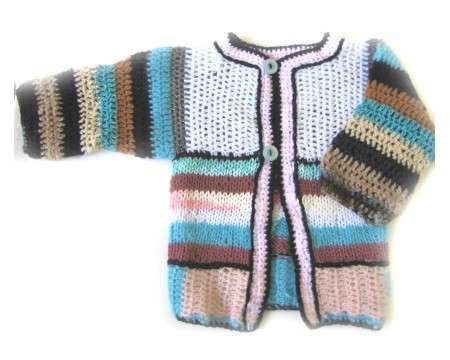 Sweater is knitted and crocheted in cotton and acrylic yarn. This is one of a kind. Measurements are 21" around chest and 13" from top of shoulders to bottom.